Handmade Decoupage Card with Acetate Dome In Box. Decoupage Design Is Roses With Ribbon On Top And Bottom Of Acetate Dome. 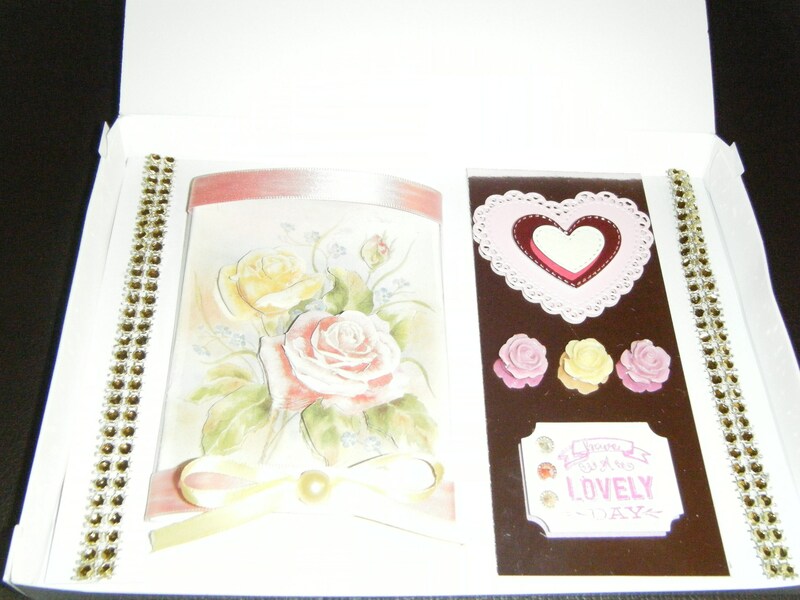 Design Is Gem Boarders Layer Die Cut Love Heart Clay Roses Gems. Greeting Is Have A Lovely Day . Card Size Is 21 x 14.5cm.